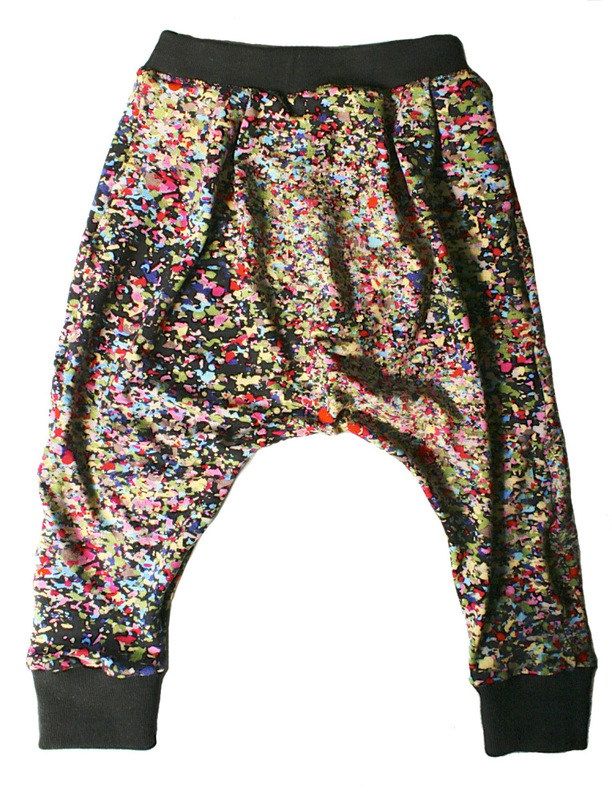 Some jazzy pants for S – with plenty of room for climbing and a big cloth nappy. I’ve drawn out the pattern which is sized for 18mths but it’s such a simple shape it would be easy to adjust for other ages. It includes a 6mm seam allowance for an overlocker or a zigzag stitch on a regular machine and is suitable for jersey knits with ribbing for the waistband and ankle cuffs.